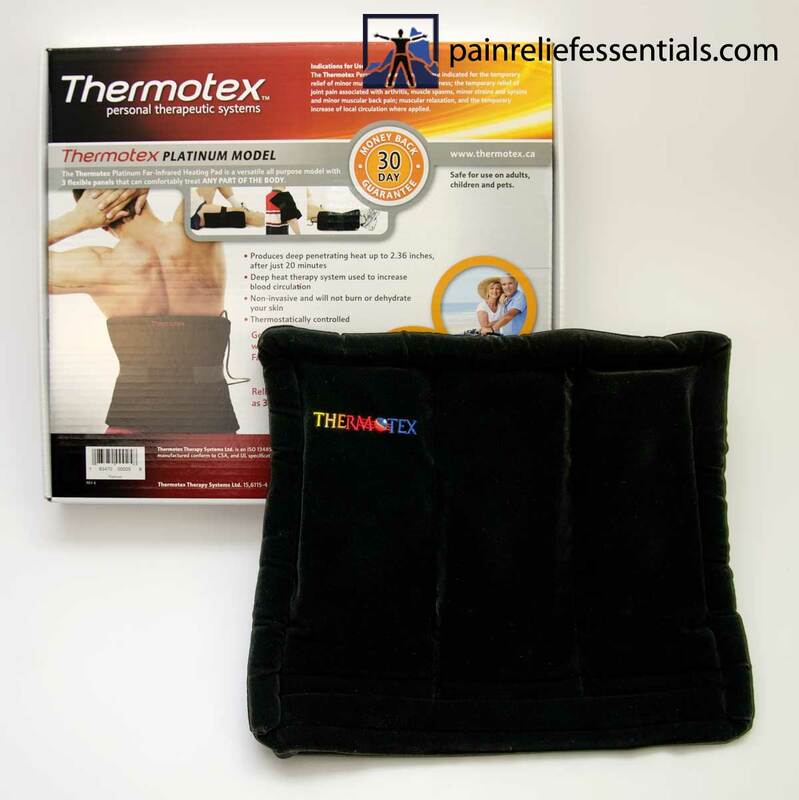 The Thermotex Platinum Infrared Heating Pad is an incredibly versatile natural pain remedy that works. It’s deep, penetrating heat temporarily but effectively relieves you of pain from injury or chronic ailments. To get an idea of what it feels like, imagine yourself lying in a bathtub filled with hot, steaming water. The soothing warmth seeps into your tired and aching bones. The gentle sound of the water lapping against the side of the tub calms your weary mind. Your body fully unwinds as the stress of the day finally melts away. We think so. And this same heavenly result of relaxation and comfort can be yours by using the Thermotex Platinum Infrared Heating Pad. It’s deep, penetrating heat temporarily but effectively relieves you of pain from injury or chronic ailments…and does so naturally. 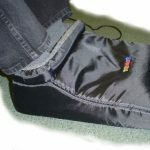 Designed with three individual three inch by eight inch infrared elements, the Thermotex Platinum offers flexibility; you can fit the pad on to or over the different areas of your body that are in need of relief. 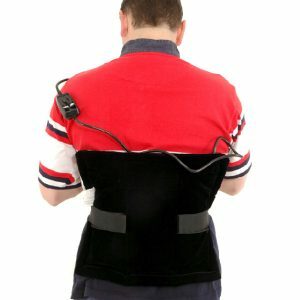 Adjustable straps hold the pads in place so that you can be confident that the heat will stay right where you want it, and need it, to bring respite from the pain. 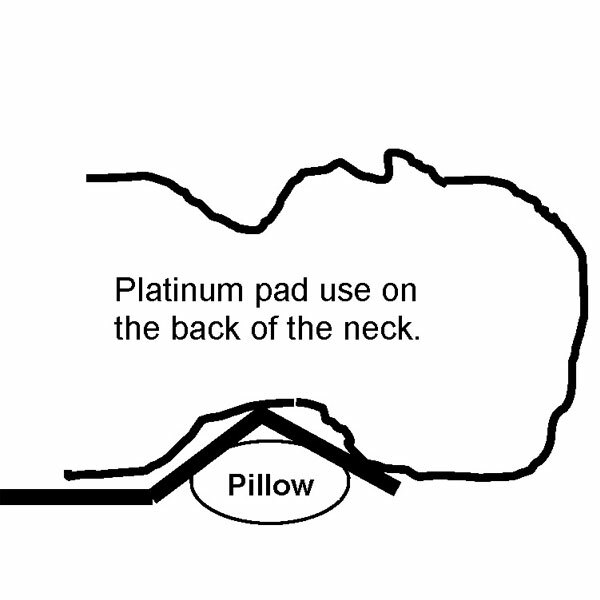 The TTS Platinum pad is our most popular pad due to its ability to treat any part of the body. This is the pad that most clinics offer to their patients for purchase. And unlike a bath (as wonderfully healing as that is), the Thermotex Platinum Heating Pad is portable; you can use it at home, in the office, and on vacation. Relief does not need to be stationary! Because of its pain-relieving success, we keep this popular therapy system in stock in our Blaine warehouse. We mail it to United States addresses by Free Shipping with USPS Priority Mail (single quantity) so you can normally expect delivery (and ultimate comfort) within 3 days…at the lowest price available. 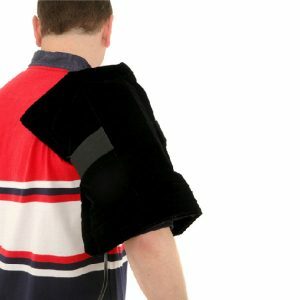 How does the Thermotex Platinum Far Infrared Heating Pad work? 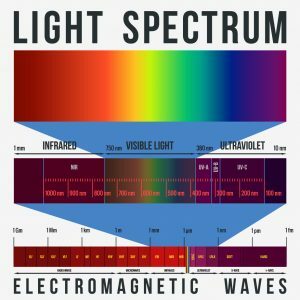 The light spectrum and electromagnetic waves including Far Infrared. Through the absorption of infrared thermal energy, your body’s tissues are safely and gently heated increasing blood flow within the treated area. Your body’s natural response to this increased temperature is to try to maintain a condition of homeostasis—a balanced environment or state of equilibrium throughout the body. To do this, your body responds with a rapid increase in blood flow to the area. Reliance on expensive and possibly harmful pain medications is unnecessary. Your body can sigh with joy as it experiences natural pain relief from the simple healing powers of heat. Thermotex infrared operates at temperatures of between 40°C – 45°C, versus heating pads that are often in excess of 55°C. 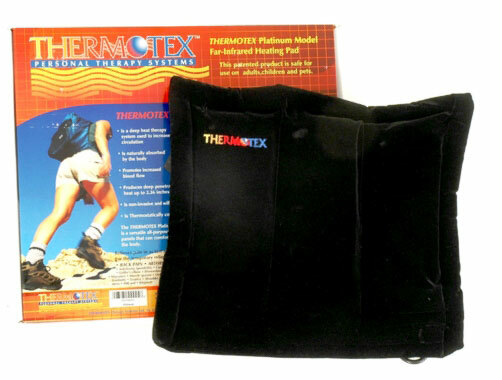 The Thermotex Platinum Heating Pad will not burn or dehydrate your skin. Read more about how infrared therapy works. 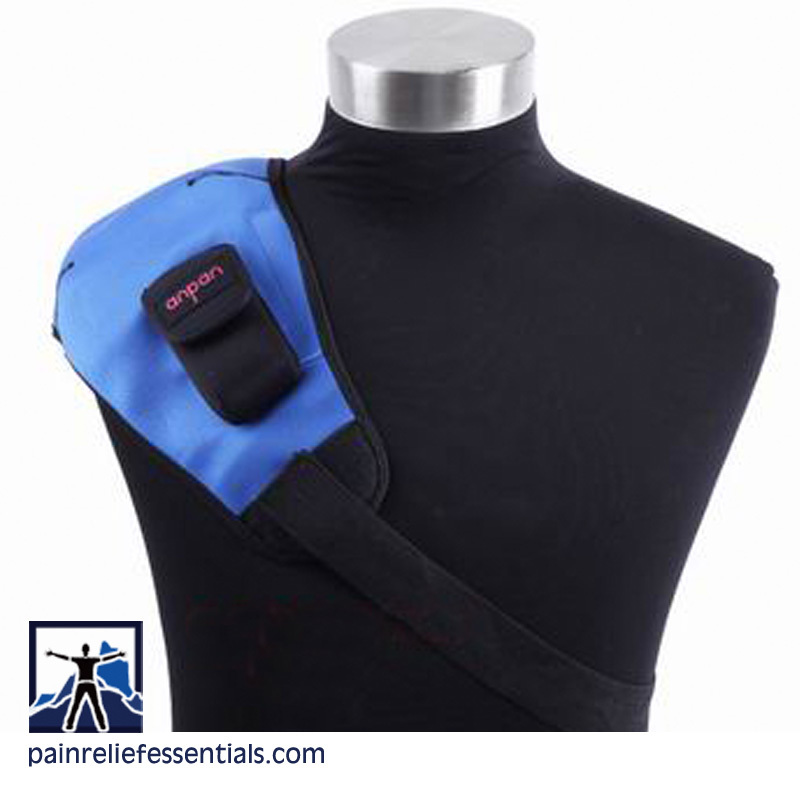 The Thermotex Platinum is also very effective at increasing the therapeutic effects of the Rhythm Touch 2-Way. 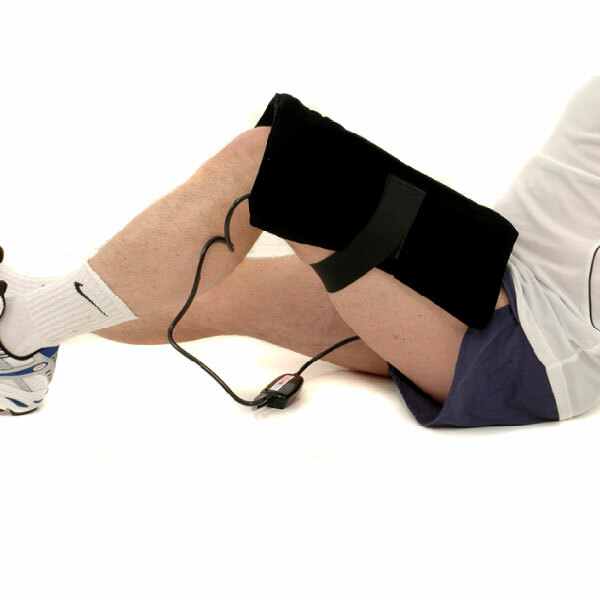 Just place the pad over the electrodes while you are using the muscle stimulator to further enhance the effects of increased circulation and deep therapy. 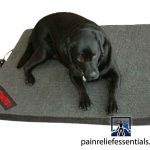 Large size Thermotex Platinum pad is 15 inches by 17 inches to cover a large area. Designed with 3 separate infrared elements joined together as one unit allowing for flexibility. Adjustable straps enable you to fit the Thermotex Platinum almost anywhere on your body. It’s flexibility allows you to better isolate the affected area that you want to treat. Sorry, the Thermotex Platinum Infrared heating pad is not eligible for discount coupons. The newest THERMOTEX™ Infrared Therapy System uses a simple on or off switch. If the surface feels too warm put a cotton towel between the body and the THERMOTEX™. The infrared heat penetrations will still be effective. Recommended treatment time is a minimum of 30 – 45 minutes per session. When your THERMOTEX™ is at room temperature, it will take approximately 10 minutes before you will feel the heat, and for your pad to provide infrared therapy. We recommend a treatment session be for 10-15 minutes on the High setting (when starting at room temperature) and then 30 additional minutes on low for a total time of 45 minutes. If the pad is plugged in and pre-warmed already, we recommend 45 minutes on the Low setting only. Thermography is used to measure the radiation of heat. In the pictures shown in the above link you will see that the initial state of the injured area in each case is showing colder than the surrounding tissue. This is because of the lack of blood flow in that injured area. As the injury is treated and the pain relieved by increasing blood flow, the temperature of the injured area returns to normal. Infrared therapy is contraindicated if you are pregnant, if you are Hemophiliac, if you have lupus, MS, or over a pacemaker. If you have metal implants please check with your doctor before using over the implant. 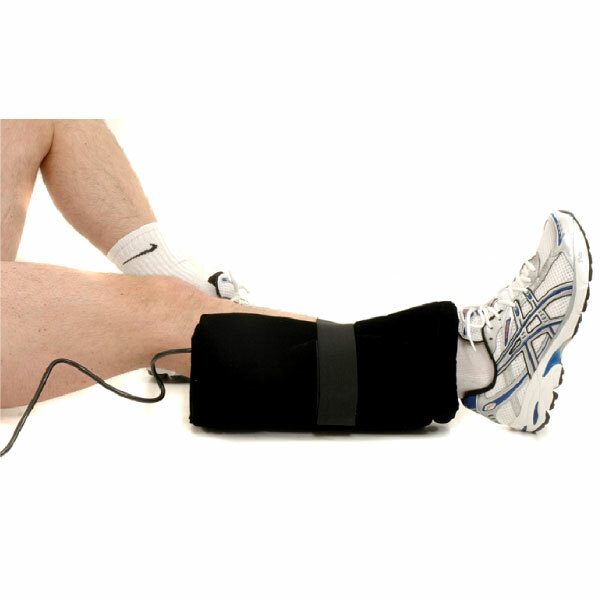 Because of its pain-relieving success, we keep this popular therapy system in stock in our Blaine, WA warehouse. We mail it to United States addresses by USPS Priority Mail for individual orders so you can normally expect delivery (and ultimate comfort) within 3 days…at the lowest price available. Larger quantity orders may be delivered by DHL Express. PREHEAT UNIT FOR 10 MINUTES BEFORE USE. The THERMOTEX™ Far Infrared Therapy System is easy to use. It is important to know that the infrared energy radiates only from one side of the THERMOTEX™. Place the hard side of the THERMOTEX™ heat inserts towards the body. The padded side does not heat up. The THERMOTEX™ Infrared Therapy System uses a simple on or off switch. If the surface feels too warm put a cotton towel between the body and the THERMOTEX™. The infrared heat penetrations will still be effective. When the THERMOTEX™ product is powered, the green indicator light will show as on. There will be no light shown in the OFF position. reduce levels of inflammation and lactic acid build up. l the same. This is due to the body’s individual and varying reaction. After using THERMOTEX™ regularly, the pad may not feel as warm as it did earlier. There is NOTHING WRONG with the THERMOTEX™. This is expected. It is a good sign – it means the therapy is working well and pain relief is being experienced. It is also normal to feel greater heat in one area of the body than on another. n. When your THERMOTEX™ is at room temperature, it will take approximately 10 minutes before you will feel the heat, and for your pad to provide infrared therapy. * Adrenal Suppression – in conditions such as Lupus, Addison’s and MS there is concern about raising the core temperature of the body to higher temperature levels such as found in a sauna. These are not temperature levels which would be typically encountered with a THERMOTEX™ pad. In people with mild to moderate symptoms, the far infrared would actually be safe and therapeutic. I love the way that my thermotex works. I use it on my hip when it hurts (I’m 82) and it really helps with the pain. Especially after I go on a walk or work in the garden too long. 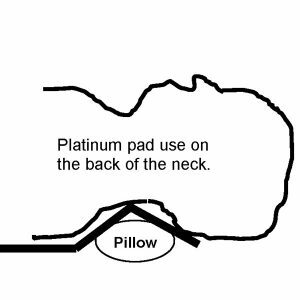 I got the platinum because it’s flexible and I can use it in my recliner against my hip. We saw found out about this thermotex infrared pad from the famous physical therapists bob and brad and just had to try it – it’s pretty amazing. They were talking about how infrared heat can give better pain relief than regular heat because the heat penetrates deeper than a regular hot pack. They compared it to getting an ultrasound treatment in the clinic. They recommended it for arthritis, tendonitis, bursitis, chronic pain, fibromyalgia and more that I didn’t catch. Thank you for your note Fran! We will include the Bob and Brad video in the listing for people to watch.